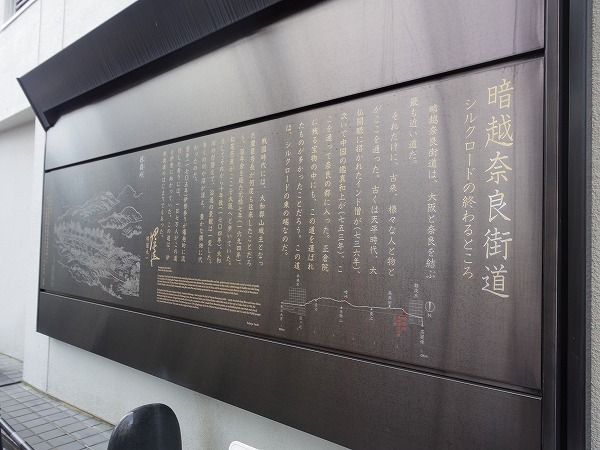 You can go to major tourist spots in central Osaka only within 15 min by train. 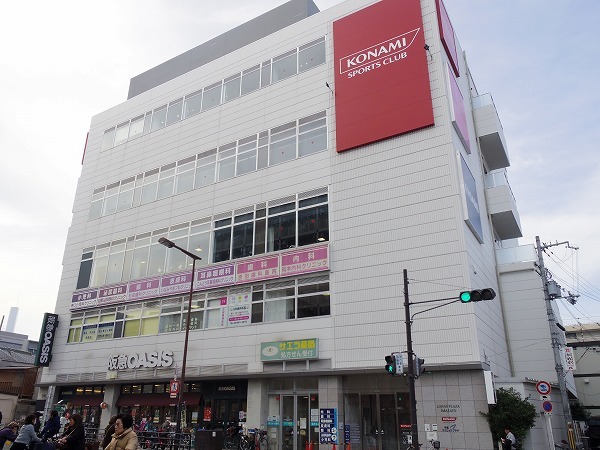 Such as Namba, Shinsaibashi, Nihonbashi from Imazato station. 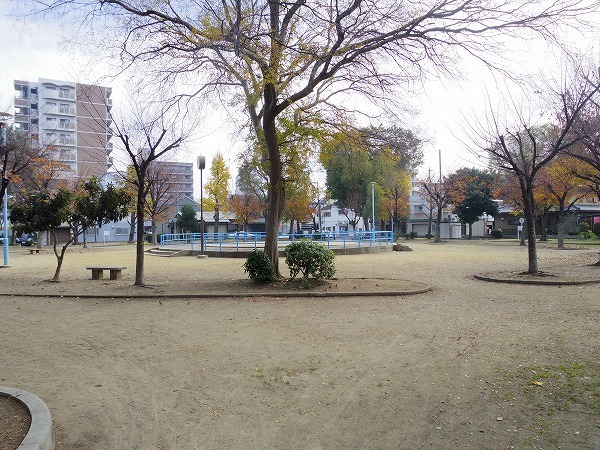 And Tennouji, Osaka, Umeda, Kyobashi, Osaka castle from JR Tamatsukuri station. 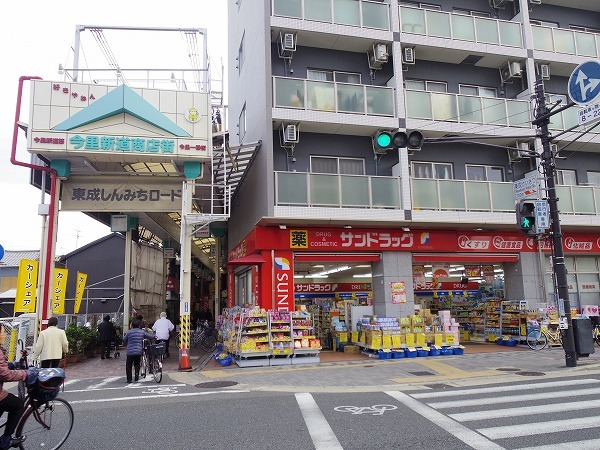 Moreover, share house next building is convenience stores also you can easily find supermarket, bank, restaurants, nostalgic shopping street nearby! 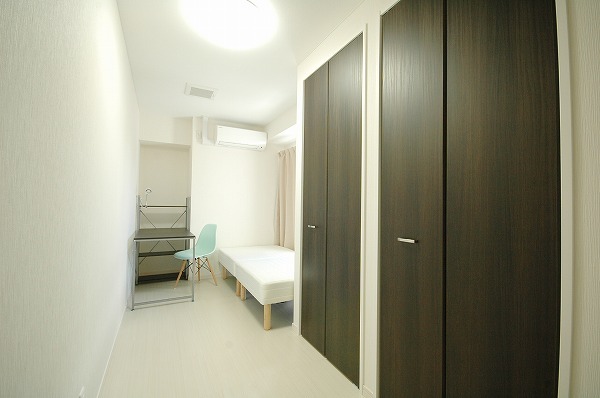 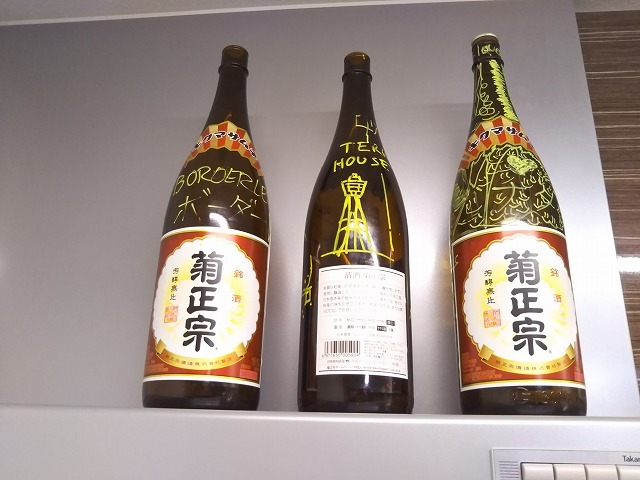 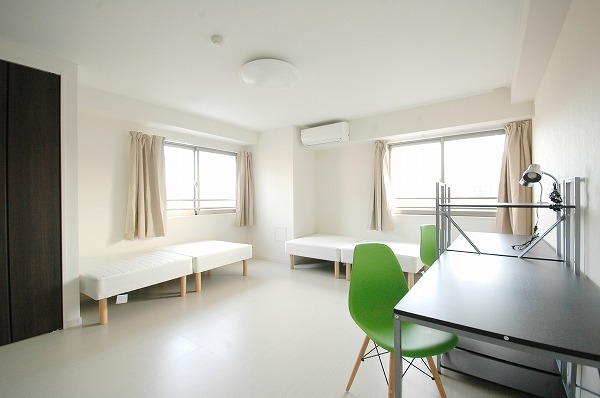 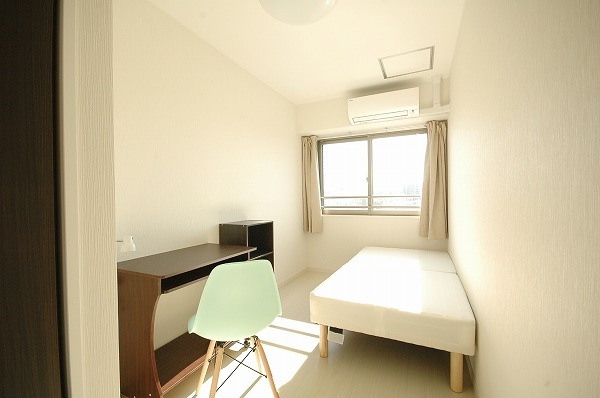 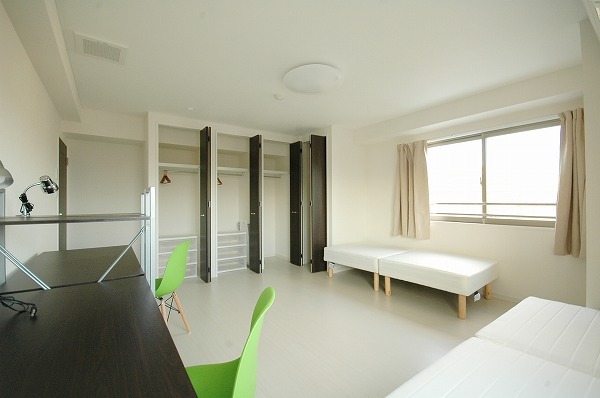 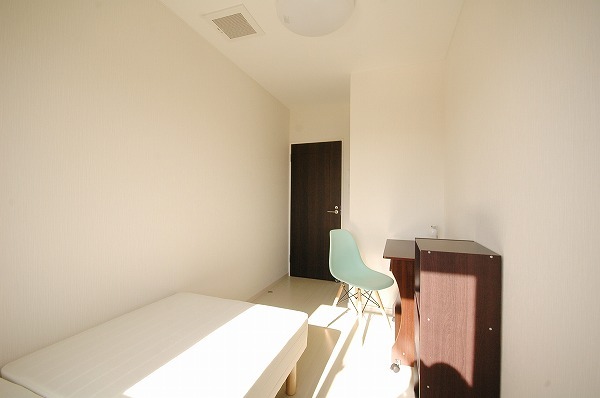 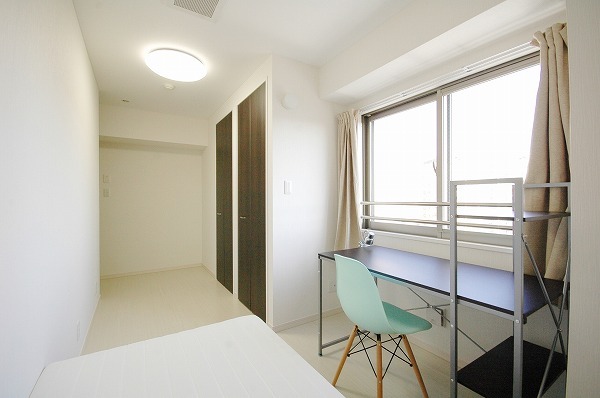 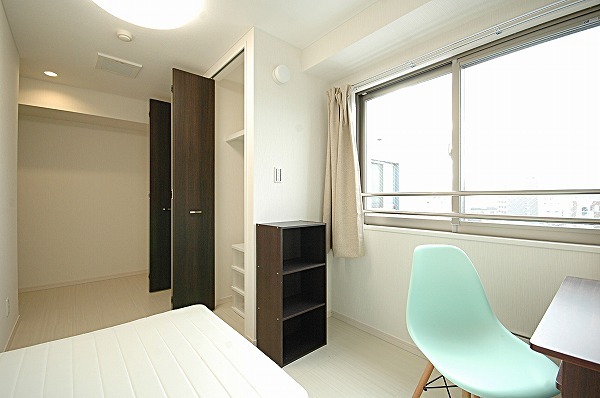 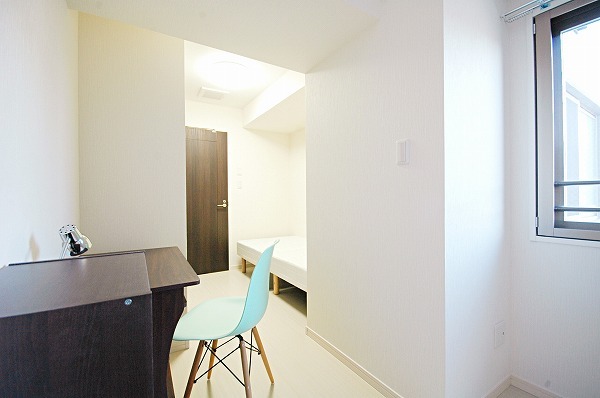 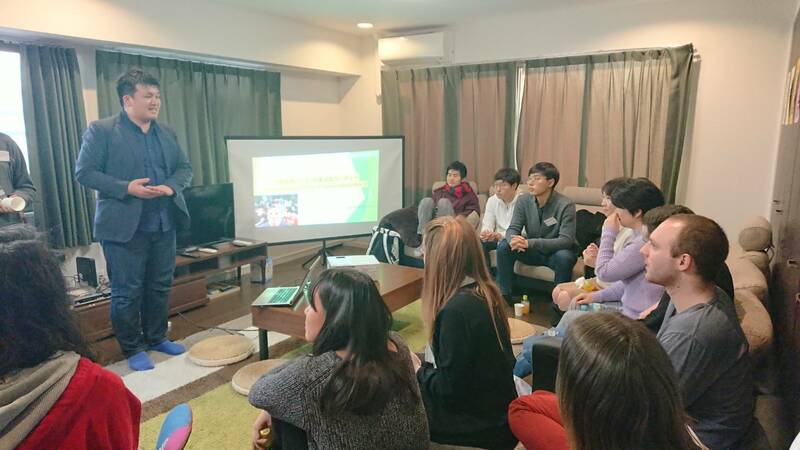 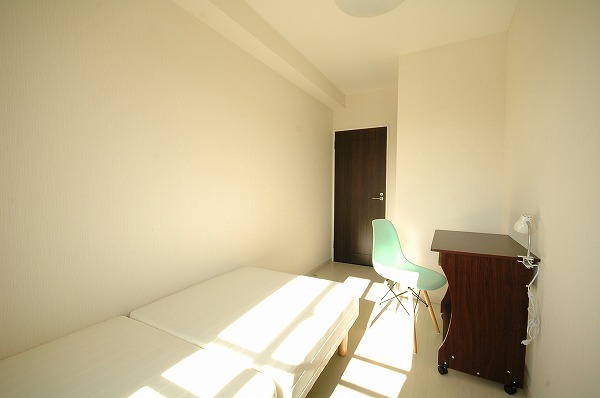 Borderless House Osaka Tamatsukuri is a big international share house which can hold 24 tenants. 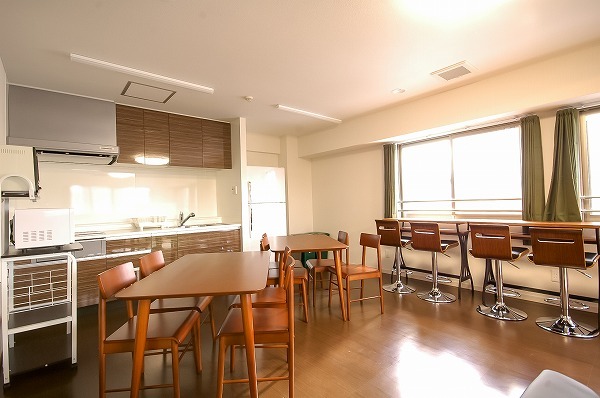 It is located on the 6th to 8th floors in a brand new apartment building. 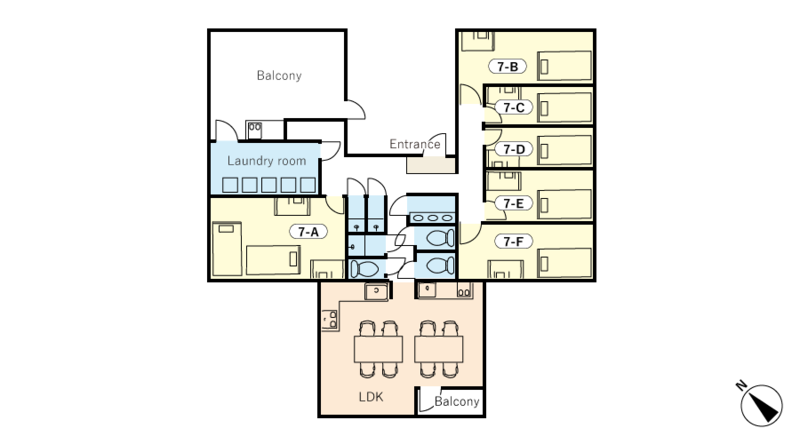 Its 6th floor is for female tenant rooms only, but with a nice and relaxing community space for everyone in the share house. 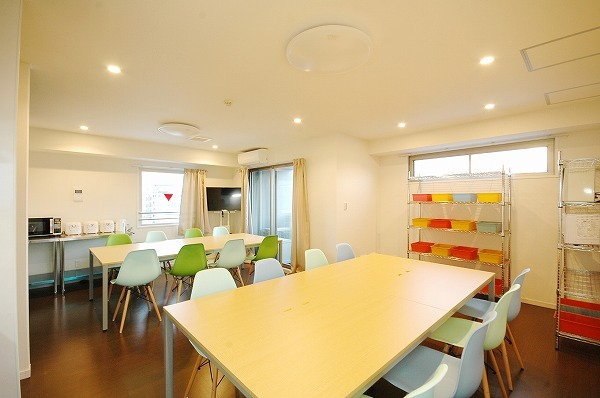 In community room become amusement arcade for everyone, we offer home theater, table tennis, and board games. 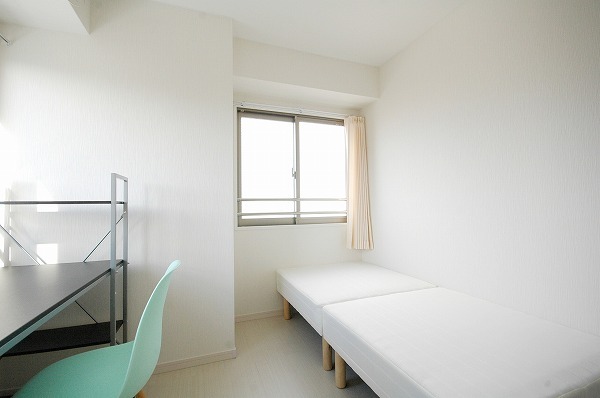 You also enjoy beautiful bird's-eye view of Osaka from the balcony. 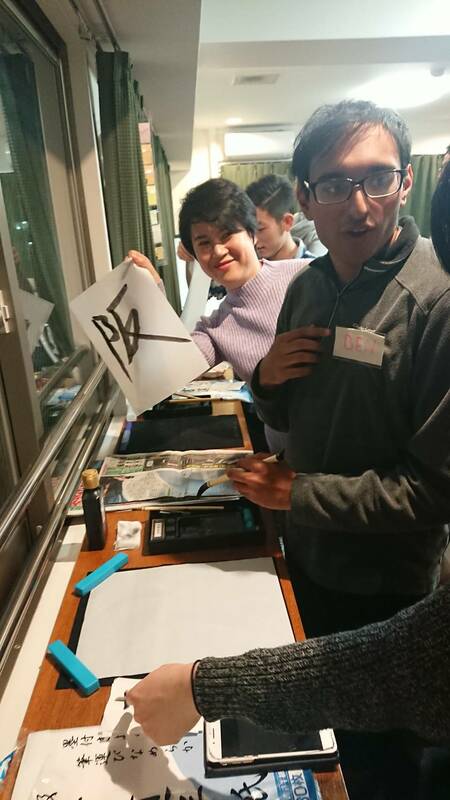 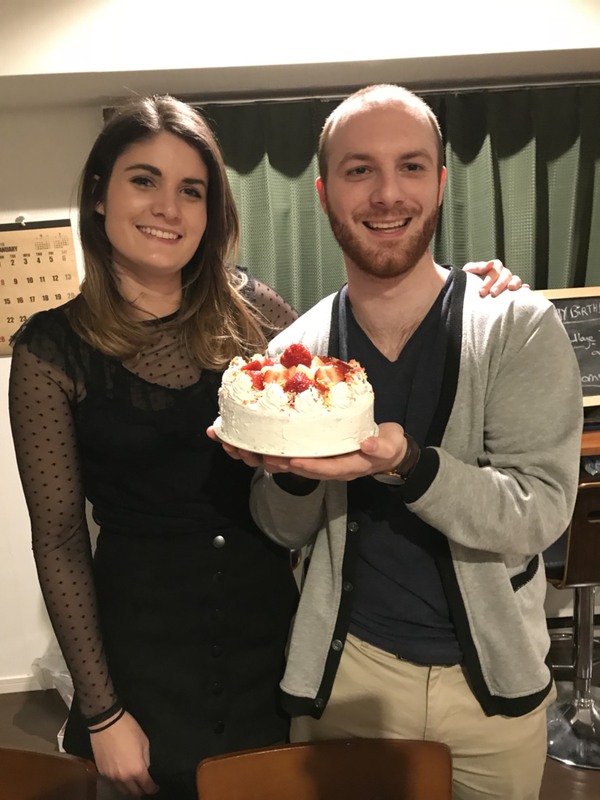 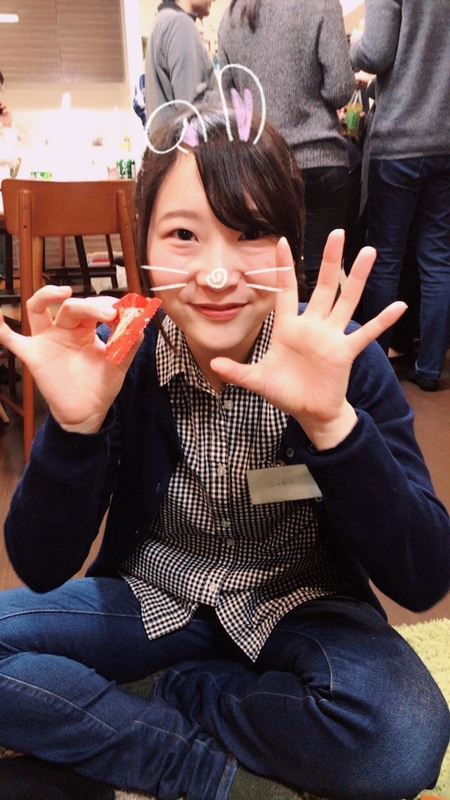 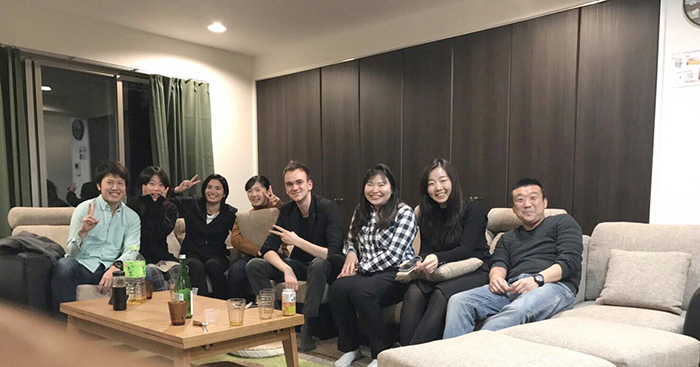 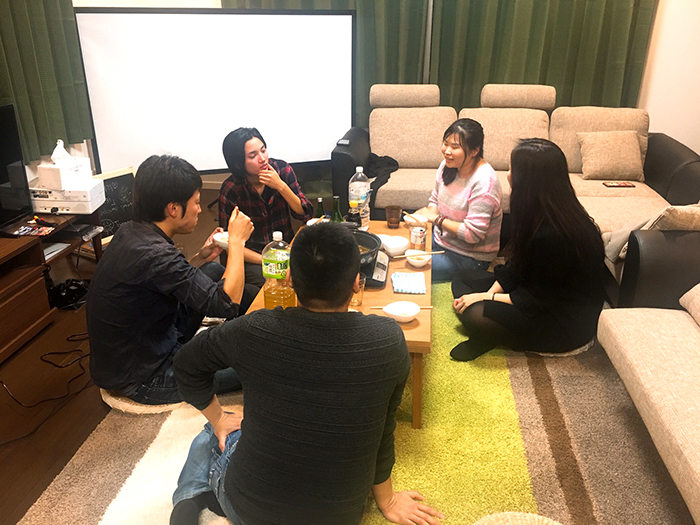 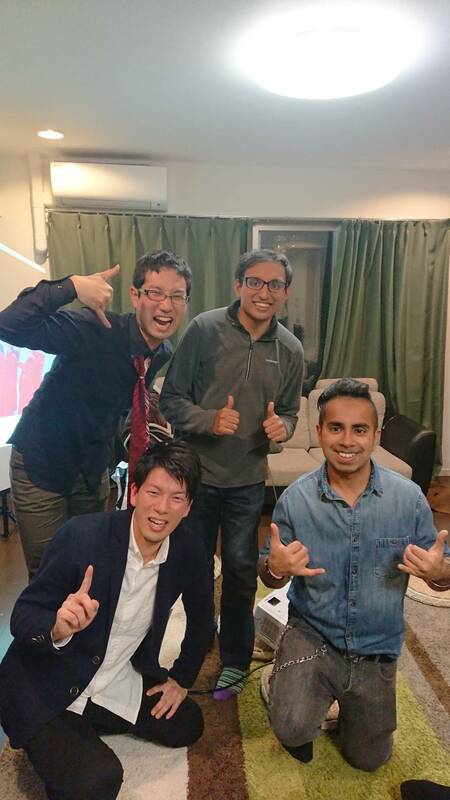 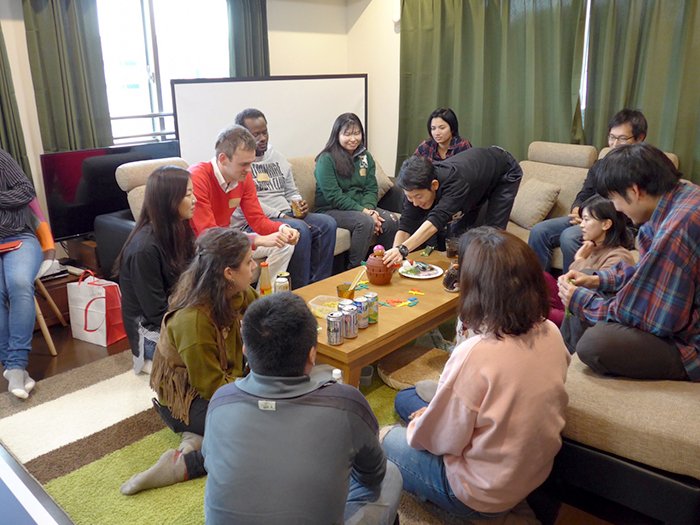 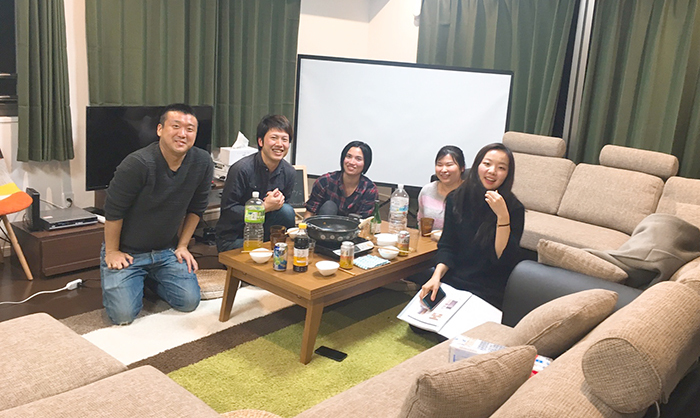 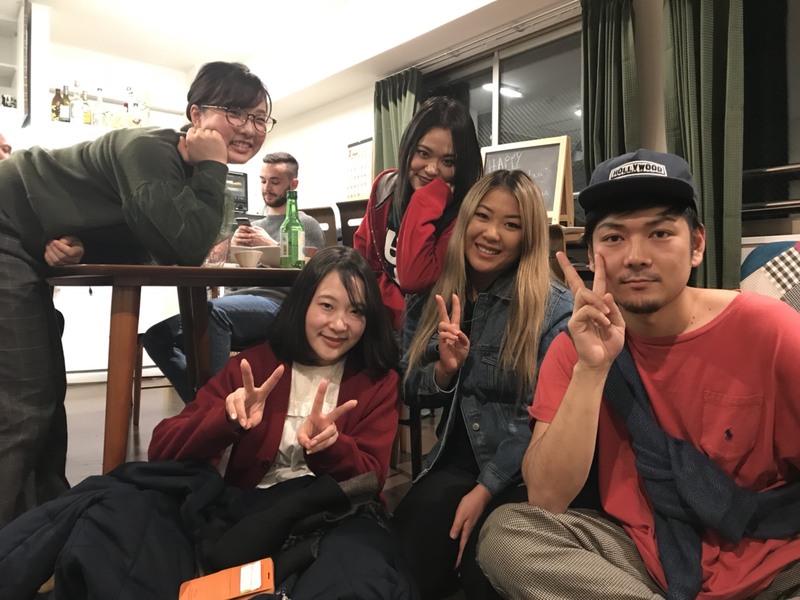 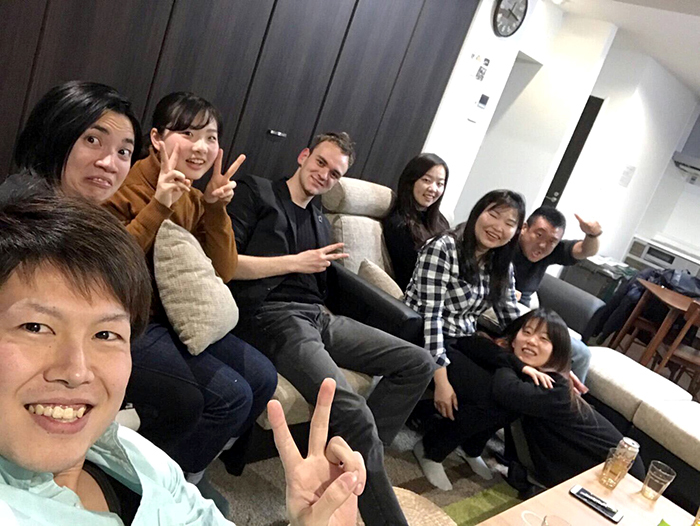 Additionally, it's remarkable that you can join an event like a potluck party occasionally with not only your Borderless Housemates, but also with the tenants on the 1st to 5th floors! 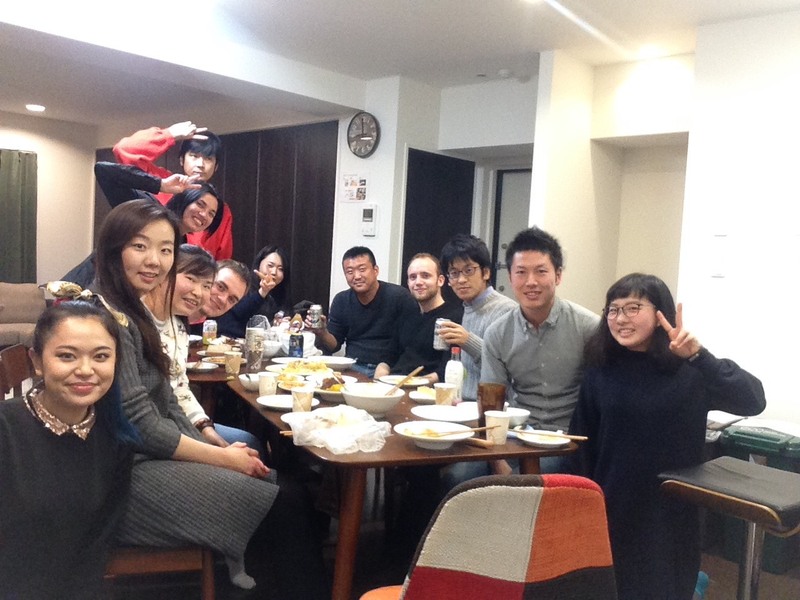 We hope you enjoy such a multicultural & multi generation environment by living in this share house. 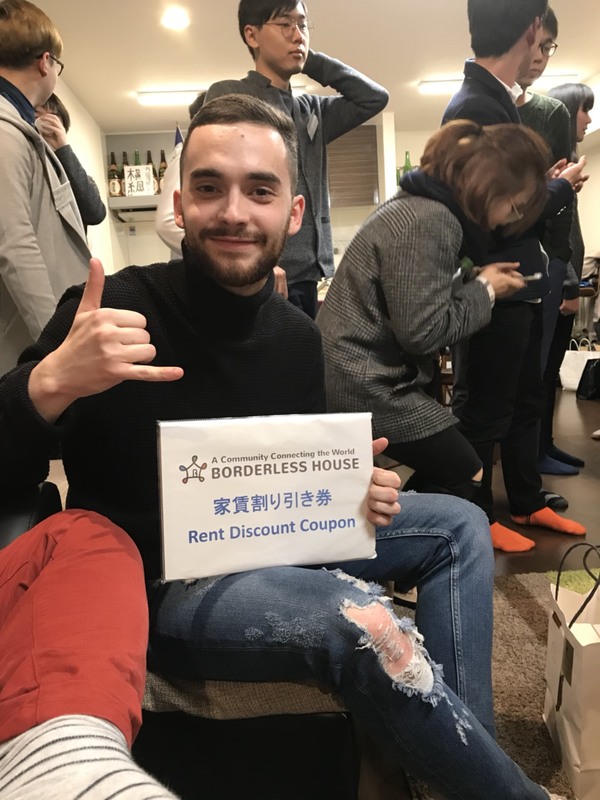 -the brand new share house is born! 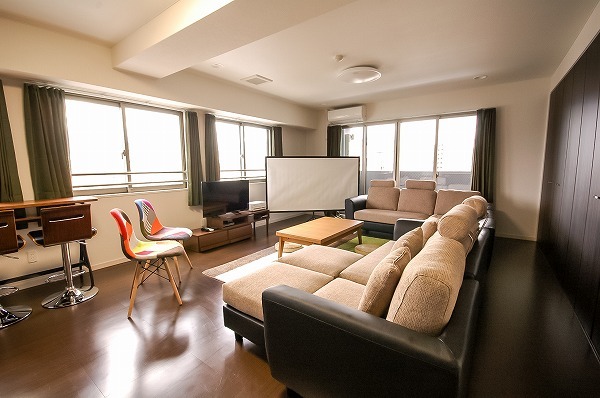 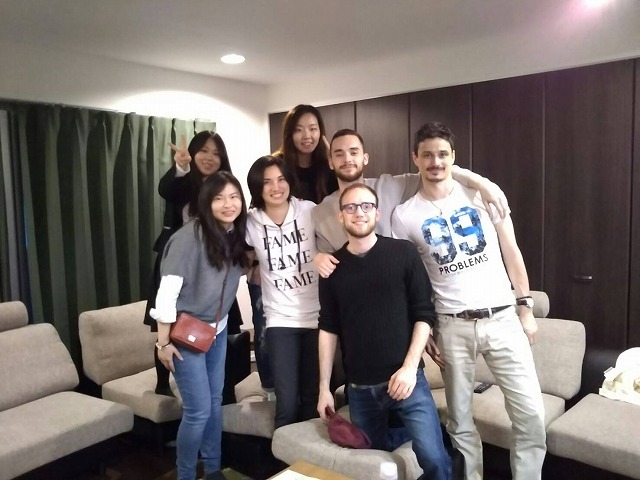 Movie marathon, table tennis, bar counters... A variety of choices for tenants to spend time together! 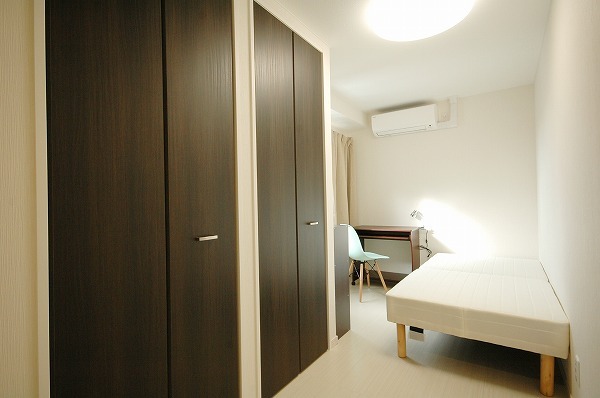 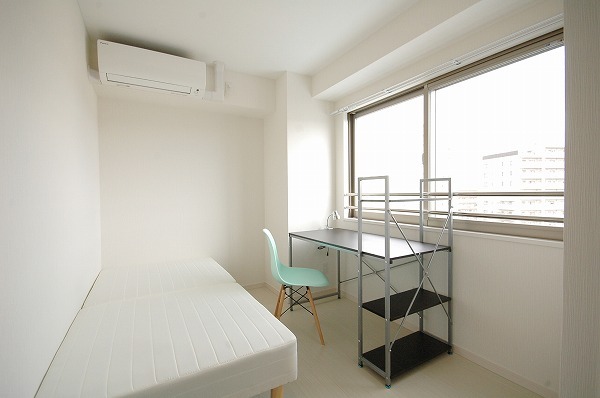 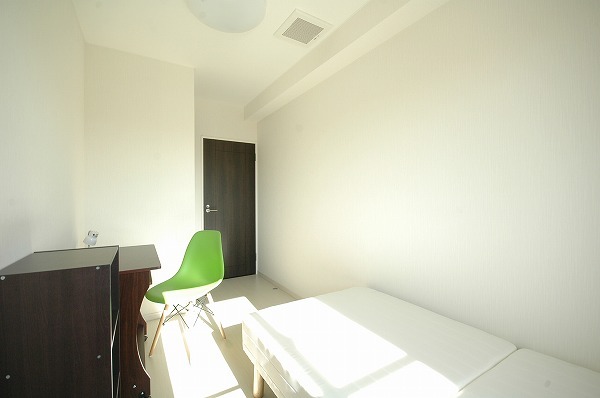 The community space, the area of 42.9m2, has equipments such as projecter and ping-pong table, which will add a spice to the fun, cozy atmosphere for all of the tenants to enjoy their share house life. 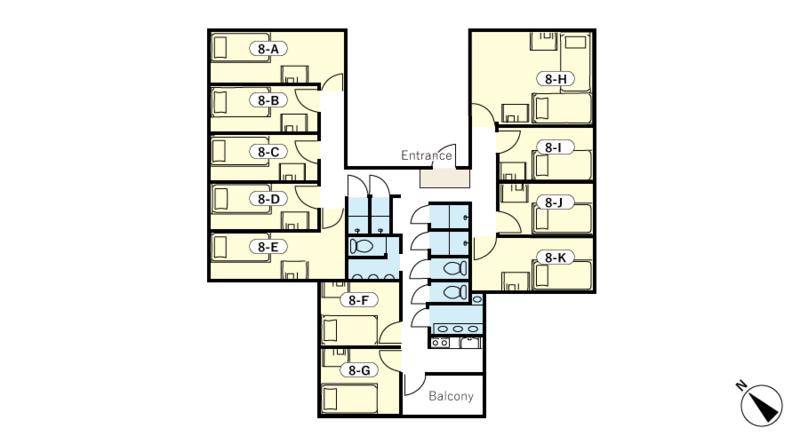 An occasional parties and events with the other tenants of the building will also be held. 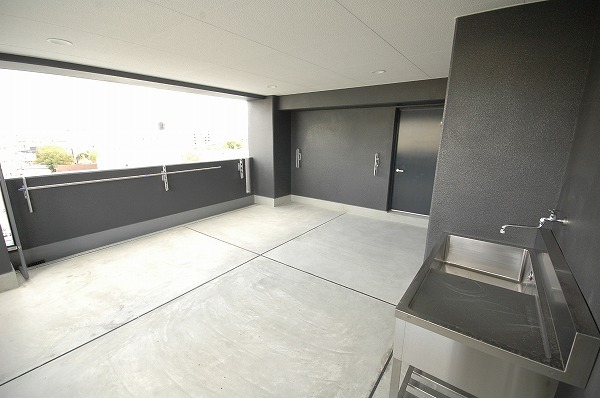 The wide balcony on top of the mansion, where the tenants can put up their laundry and even throw a terrace party in summer will help the tenants fulfill their share house life! 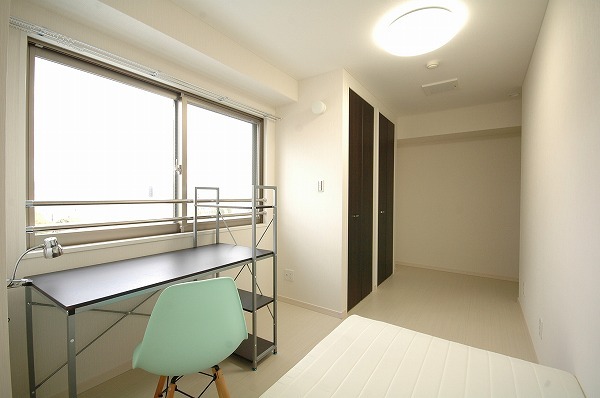 6th floor -a floor only for female tenants! 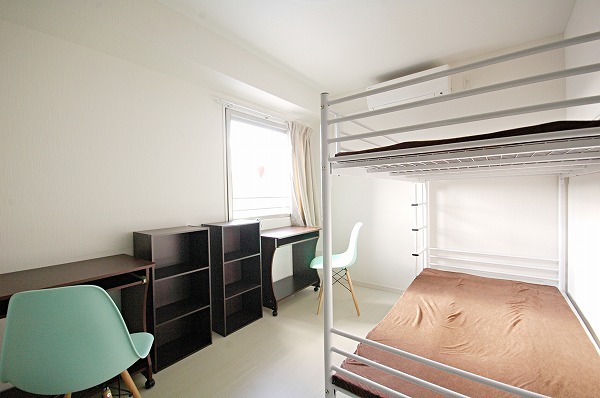 For those who are female, who long for international share house life, but wanting to make sure about security...here is the place for you! 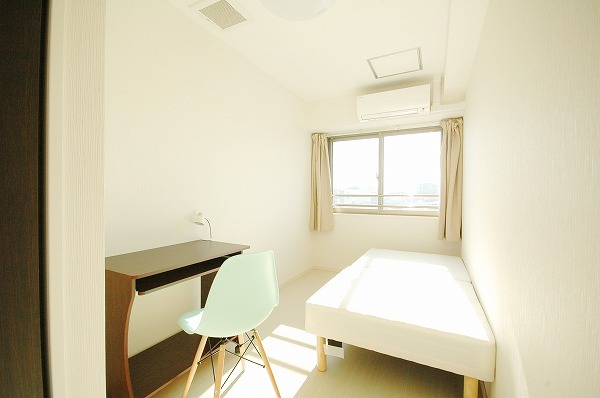 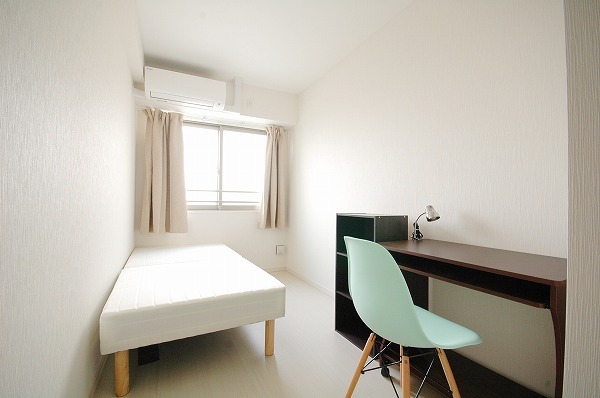 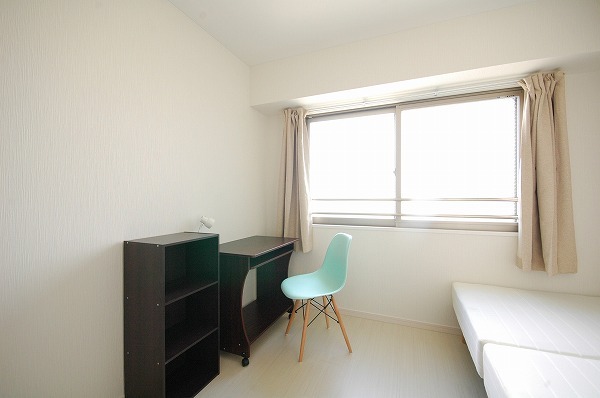 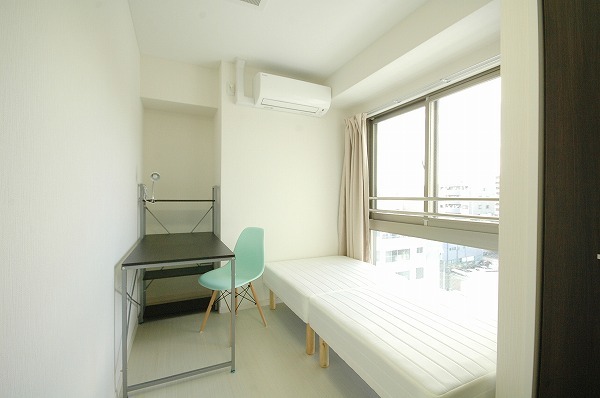 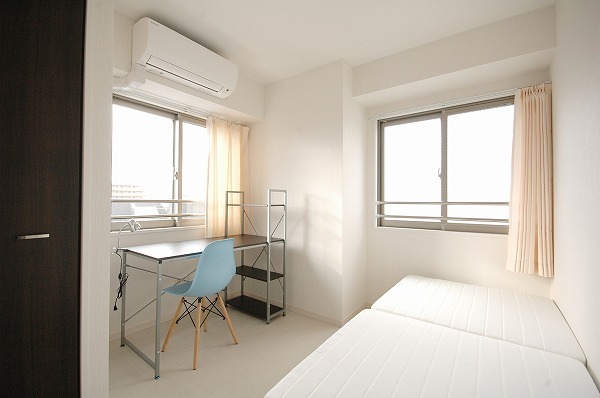 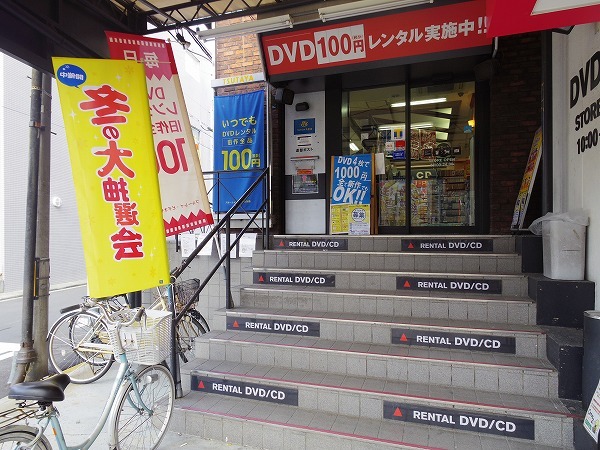 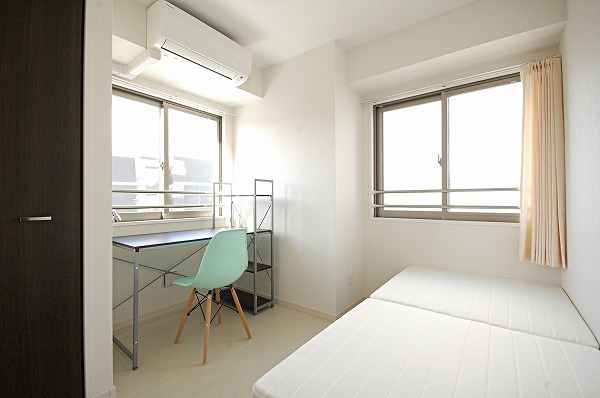 Less than 15 minute away from any major station of Osaka city! 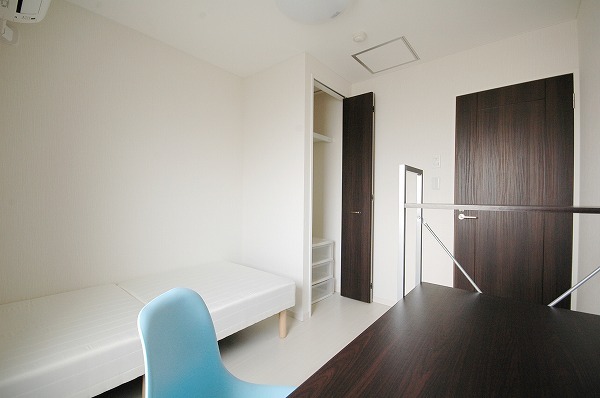 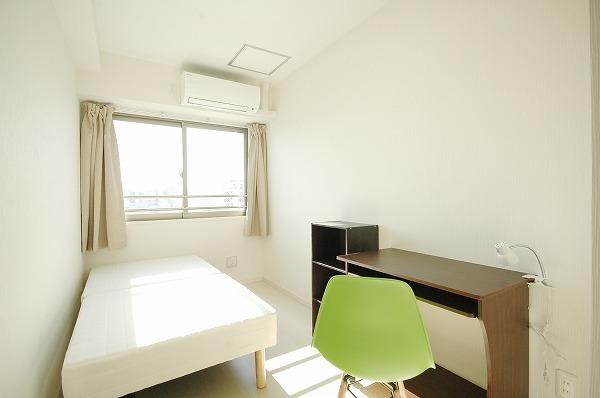 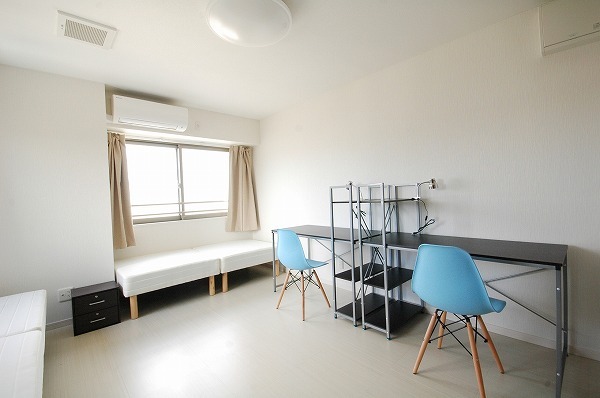 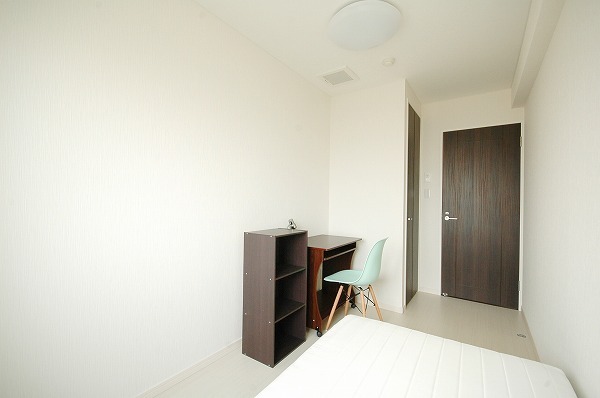 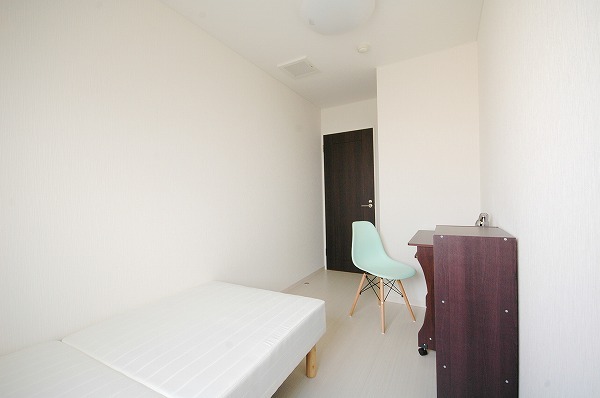 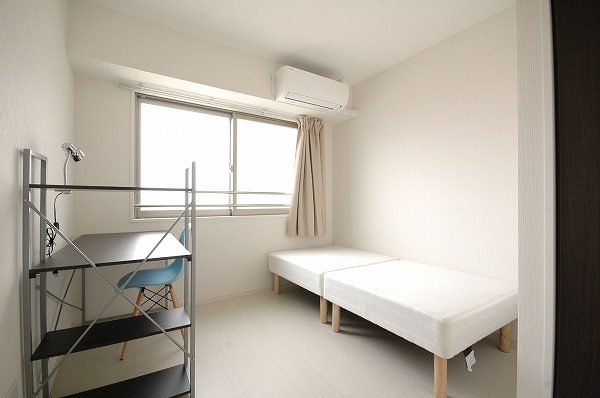 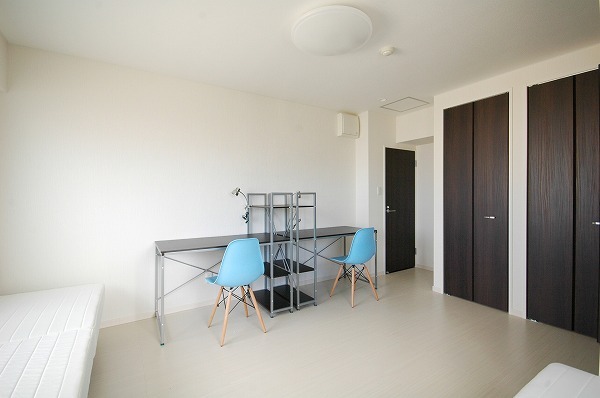 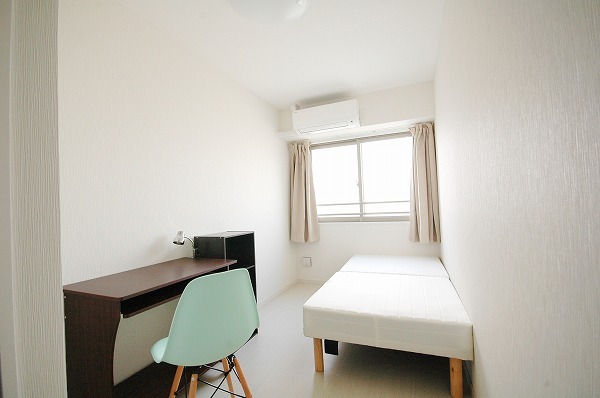 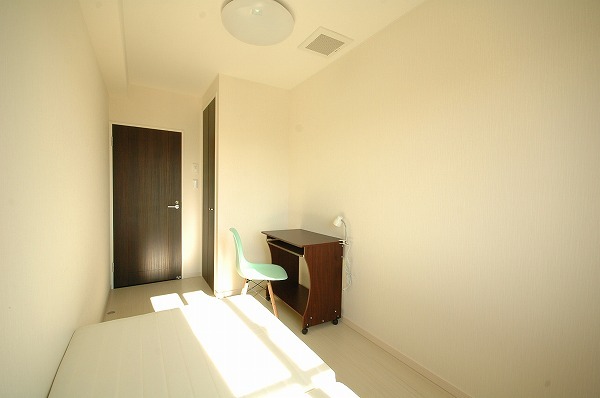 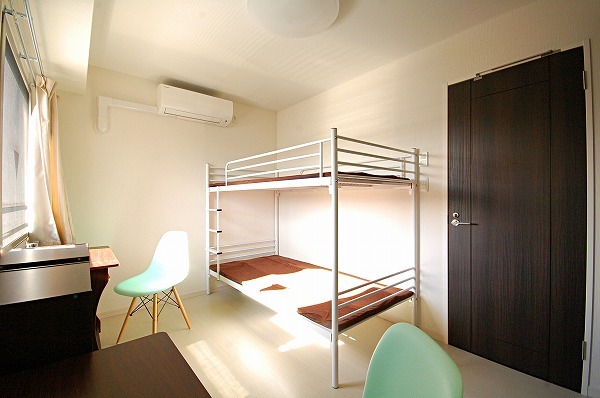 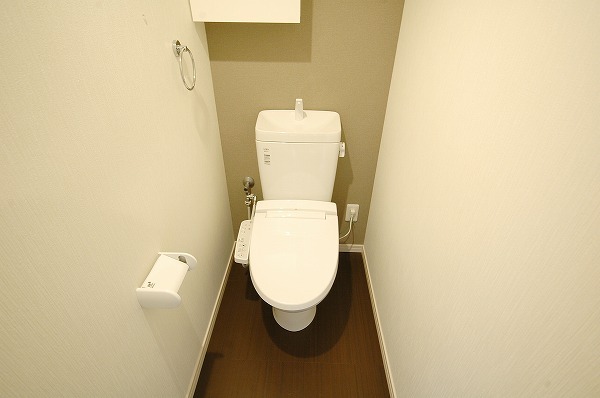 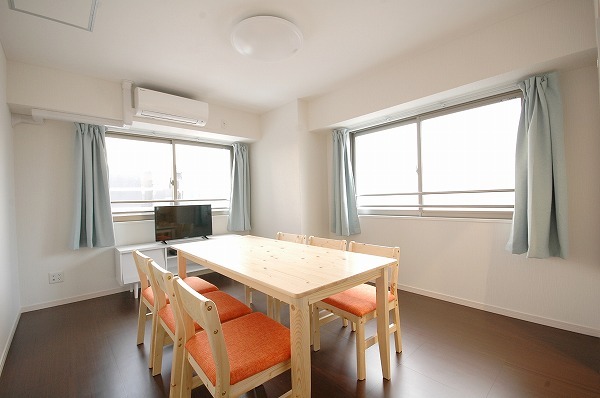 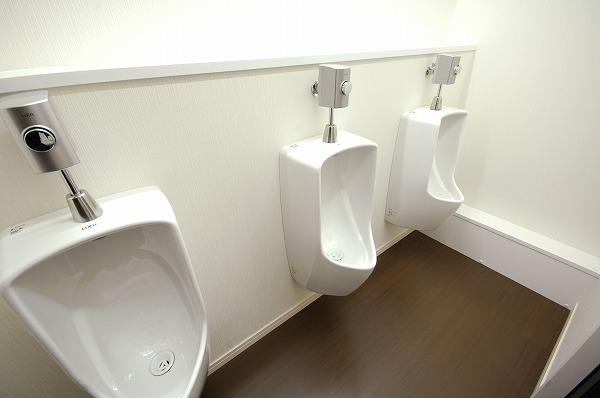 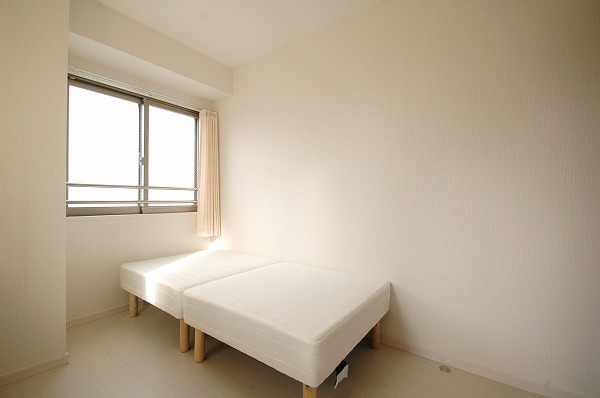 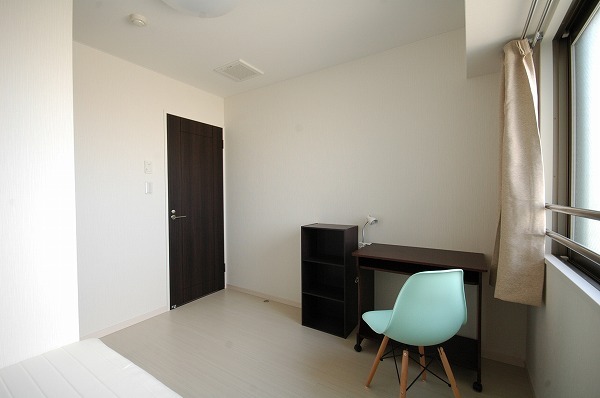 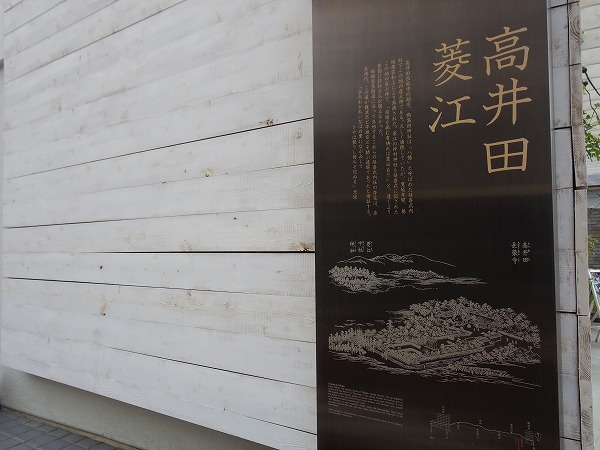 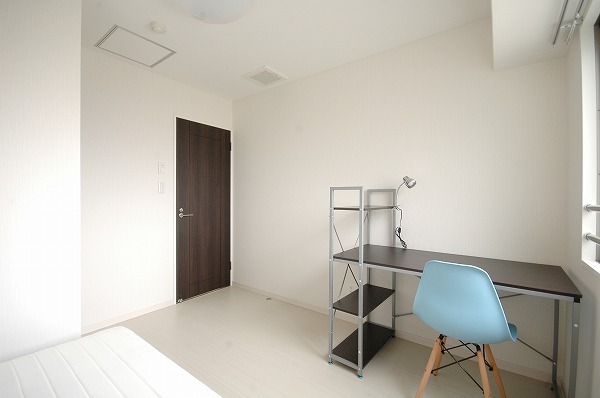 The house is only 7 minute away from Imazato Station by foot, and 12 minute walking distance from Tamatsukuri Station. 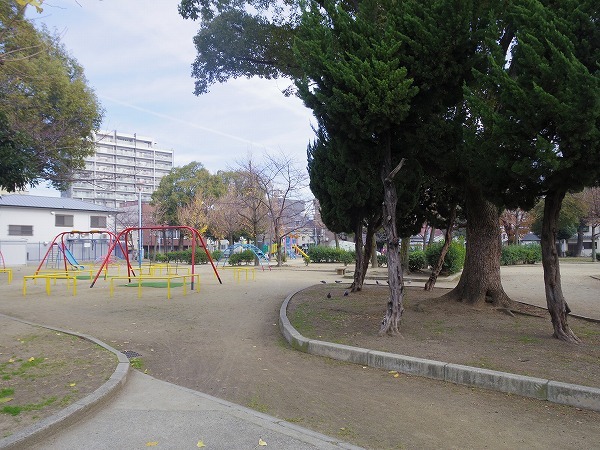 From Imazato station there is no need for transfer to the major stations of Osaka, and will take you there in less than 15 minutes! 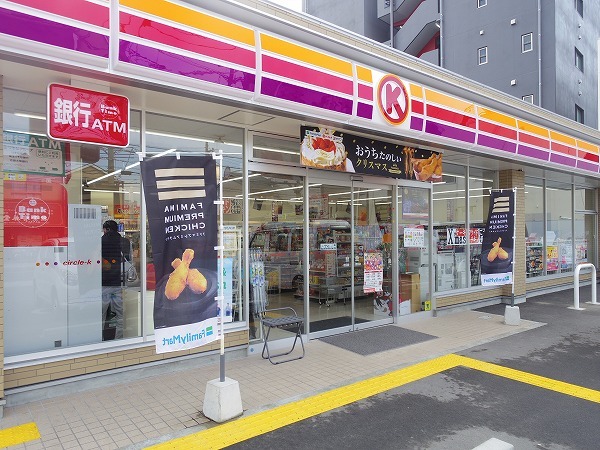 Right nextdoor to the house is a convenience store, and markets, supermarkets, banks and other venues are only 10 minutes away. 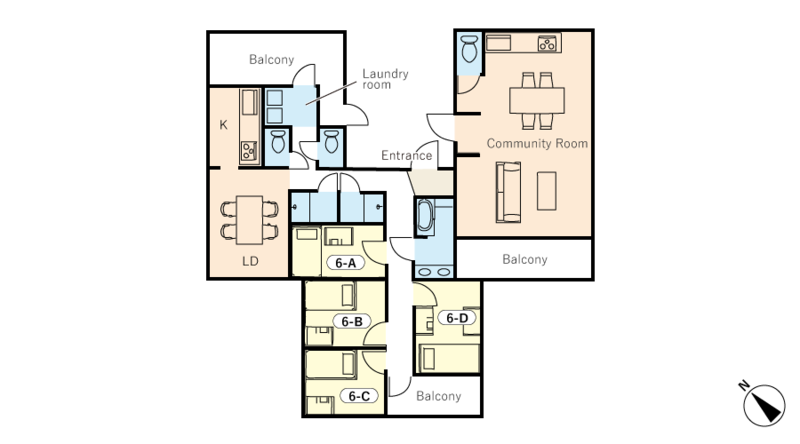 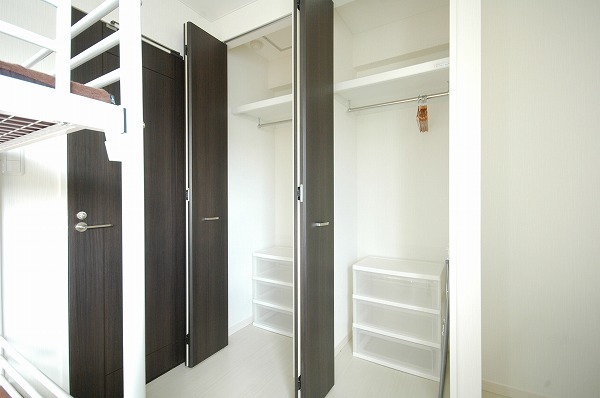 Its convenience in access will fulfill your share house life for sure! 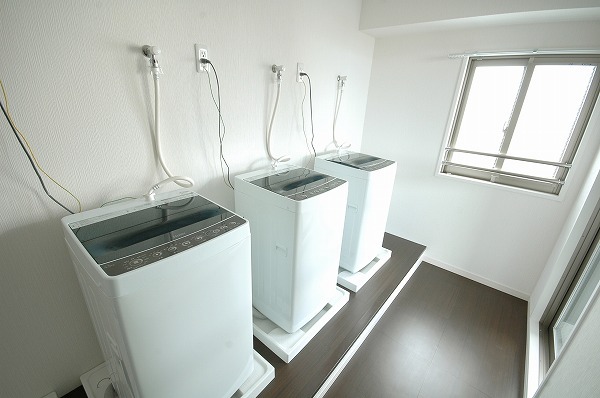 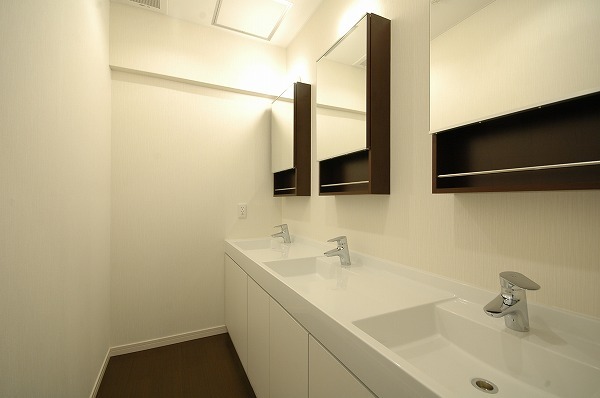 Have a rich share house life with the perfect facilities in the kitchen and bathrooms! 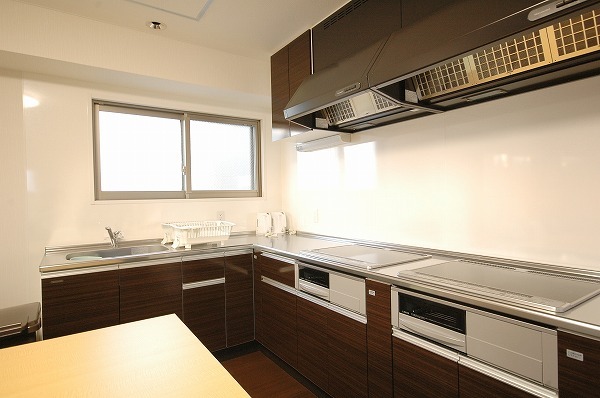 The kitchen is with rich, high quality equipments such as IH cooker, and the restrooms and all other water facilities are provided with enough numbers. 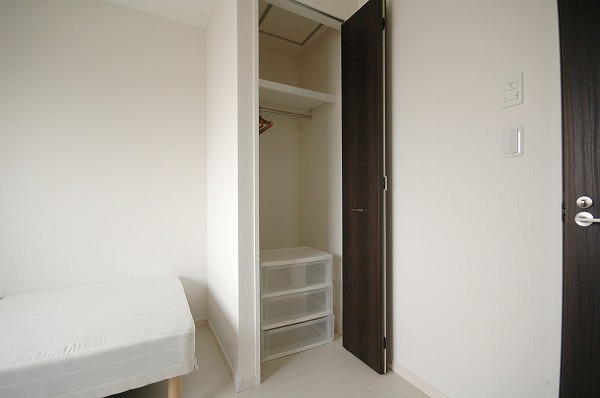 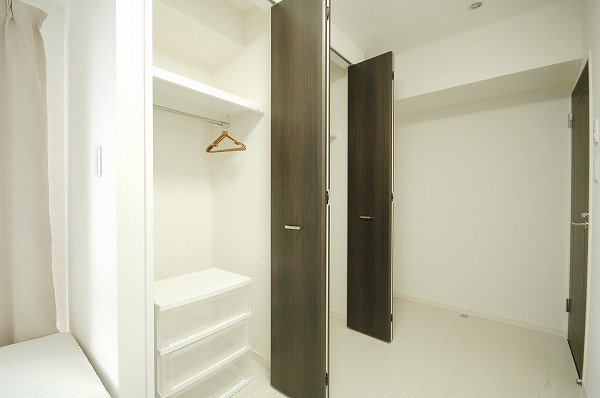 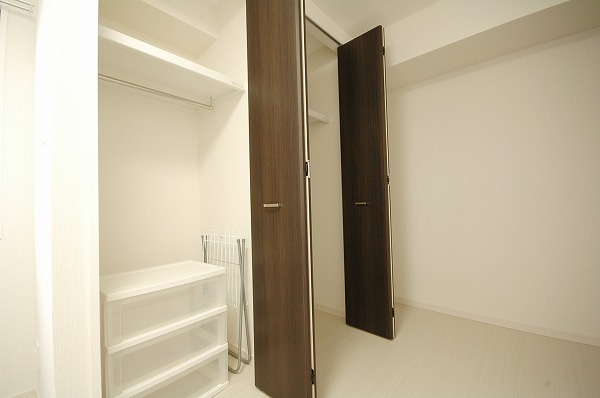 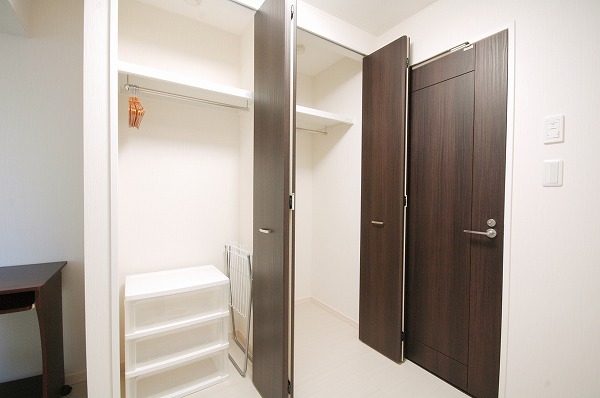 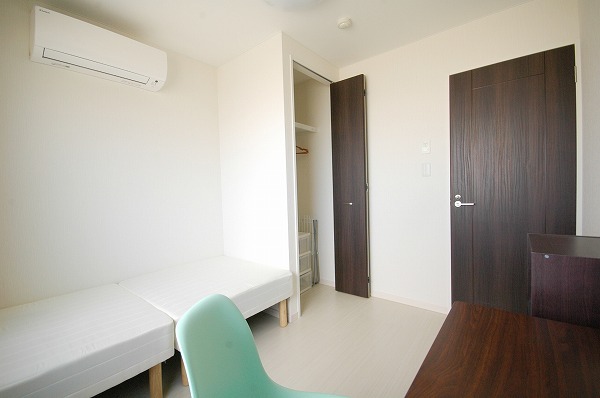 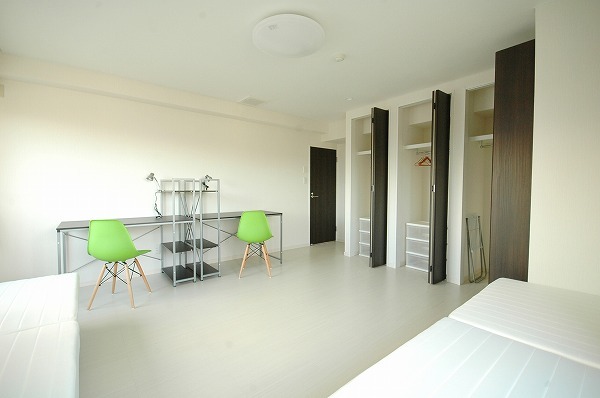 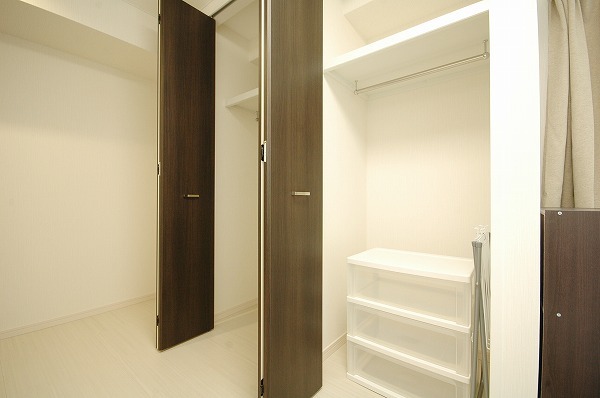 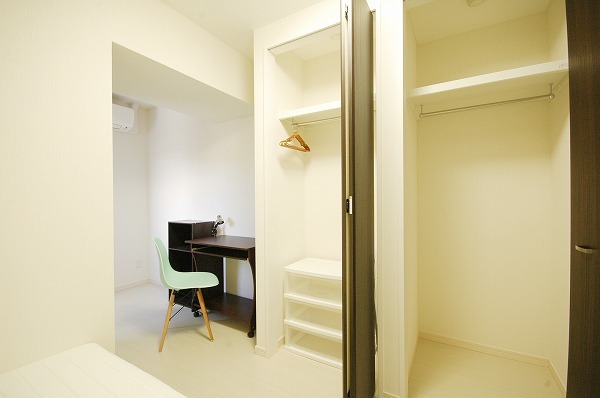 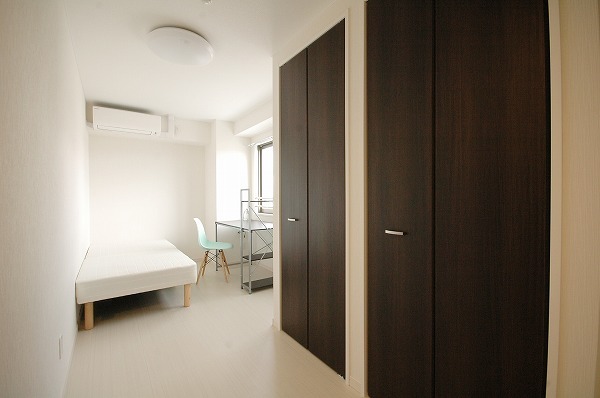 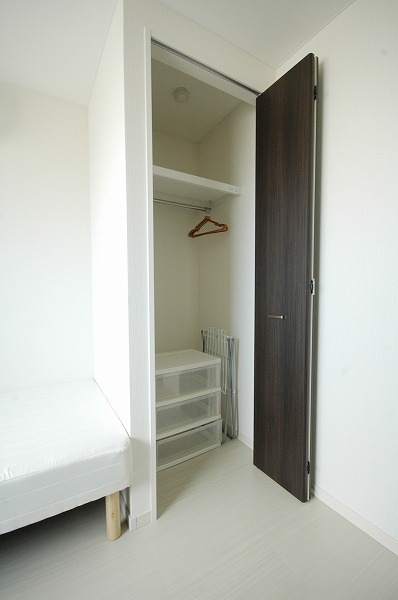 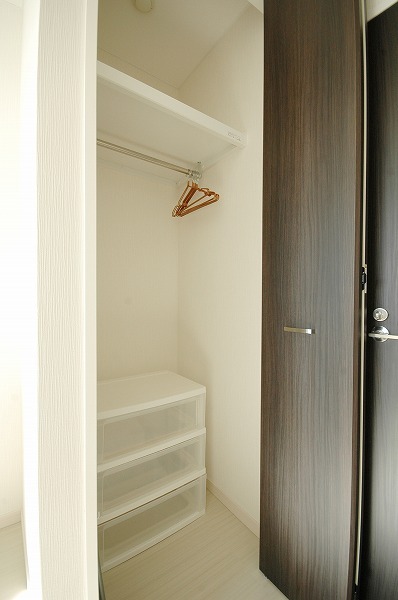 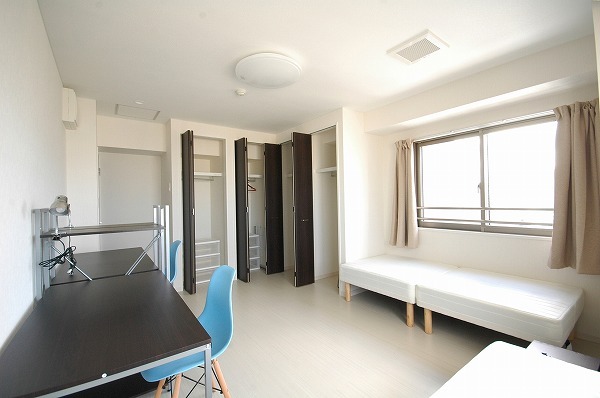 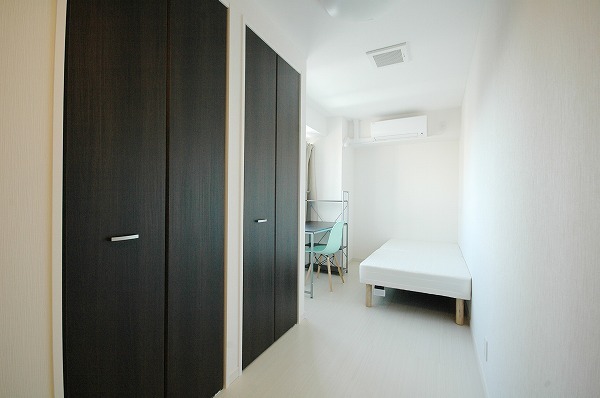 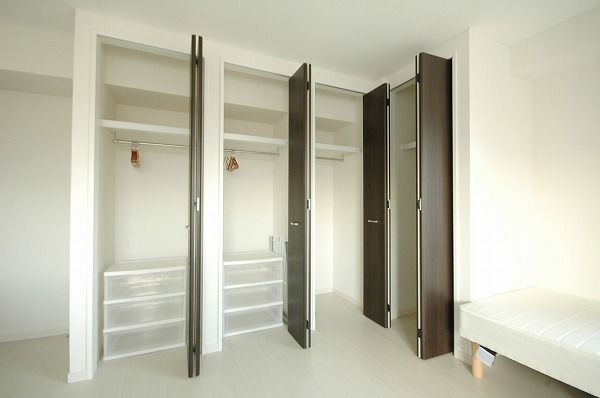 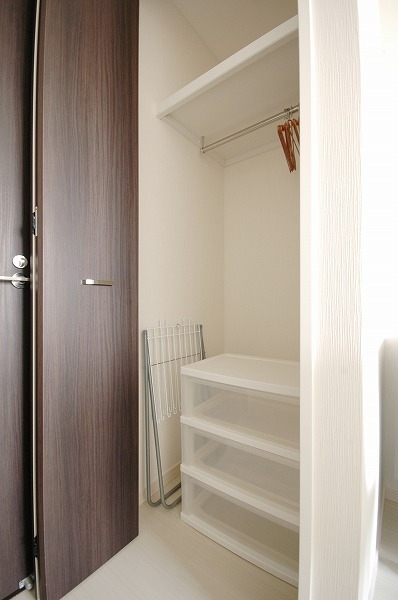 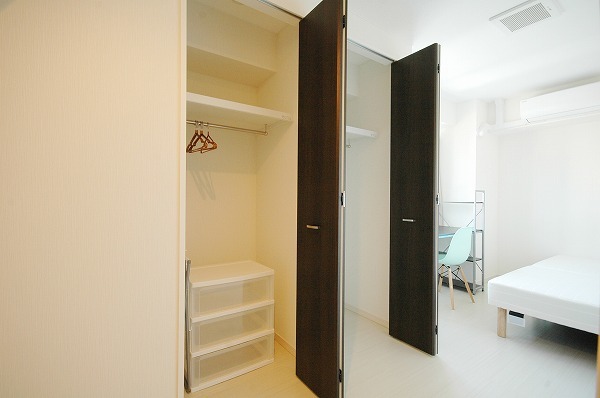 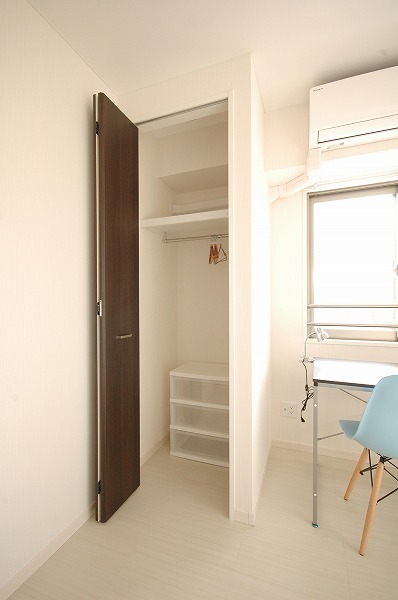 Also every room with closets to keep all your belongings safe!